With the holidays and festive season coming up, we’re hearing from all sides that now is the best time to up your security. With all the festivities going on this time of year, crime such as home burglaries tend to spike – especially because many people leave their homes unattended when going on a vacation. Your lighting inside your home is just as important as your outside security lighting; particularly if you’re not home as it will give the illusion that someone is home. Lighting solutions such as timers, motion sensors and floodlights are great solutions to help prevent and deter intruders from breaking into your home – whether you’re home or not. If you don’t think you have sufficient security lighting, take a look at the importance of it, as well as some of our tips on how to make sure you’ve lit your outside home area up in an effective way. 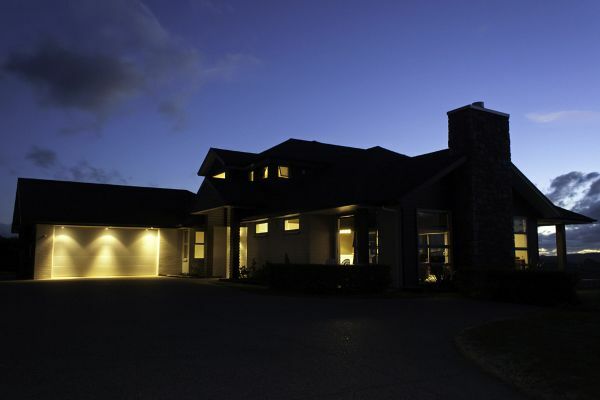 Besides the obvious fact that adequate security lighting has been proven to help deter potential burglars, it can also look nice to have your home lit up outside – even if it just helps your visitors find the pathway to your front door. An added benefit is that, with some insurance companies, having great security lighting systems outside your home could result in a decreased insurance premium. It could also mean that should you decide to put your home on the market, the value of it may sometimes be increased due to your home security features. 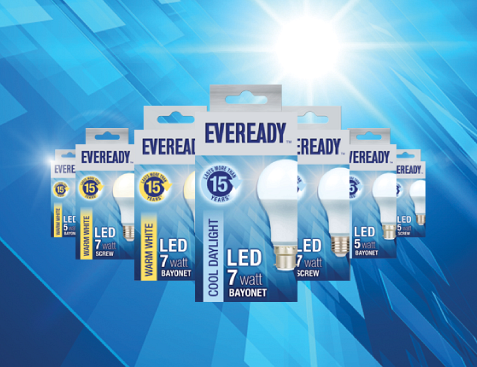 At Eveready, we want to help you make sure that if you’re investing in outdoor security lights, that you’re doing it to be as effective as possible. Firstly, when fitting the lights, you’ll need to take factors into consideration, such as height from the ground, the angle and the wattage of the lamp. If your outside areas have places where intruders can easily hide, such as trees or wall corners, then it’s important to illuminate these areas with floodlights so as to prevent them from being able to hide in the shadows. Motion sensor lights are always a great investment as they tend to scare intruders away as soon as they come on, as well as catch your eye when they suddenly switch on. We would advise the importance of putting these in front of your front doors and your garage doors. If you’re not home for a few days and you want to make it look like there are people at home, get some light timers – this way, certain lights will be switched on and off at a set time at night. As you can see, having quality security lighting will not only benefit your safety, but also potentially your wallet. While the costs may seem high initially, it will be worth it in the long run when you feel safe and secure enough to leave your home, knowing that you’ll return to all of your valuables.